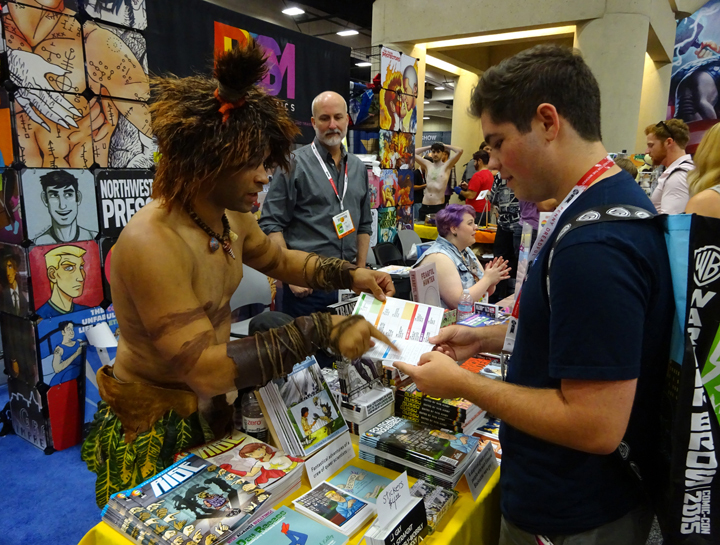 Prism Comics Celebrates 13 Years of Championing LGBTQ Comics, Creators and Readers at SDCC! 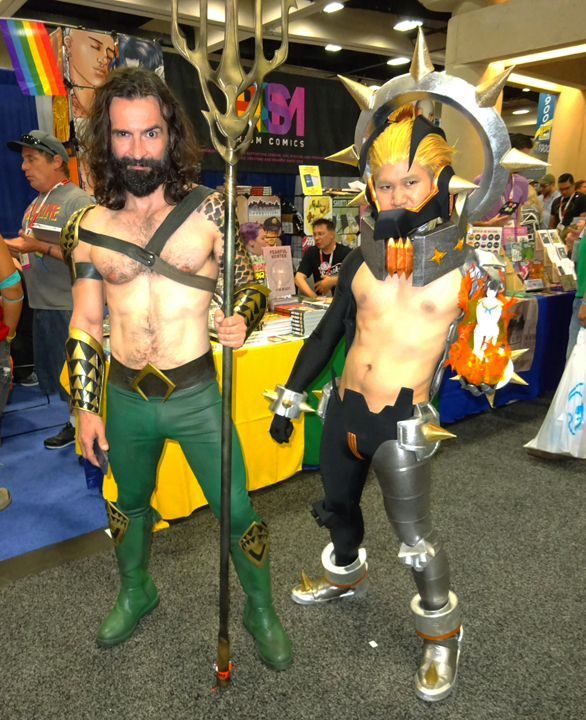 SAN DIEGO, CA – Prism Comics will celebrate its 13th year as “LGBTQ Central” at Comic-Con International: San Diego 2016 with a triple-sized booth #2144 in Hall C near DC and Marvel. And Prism is pleased to present a full roster of Panels, Creator Signings and a Drink and Draw fundraiser on Thursday night. 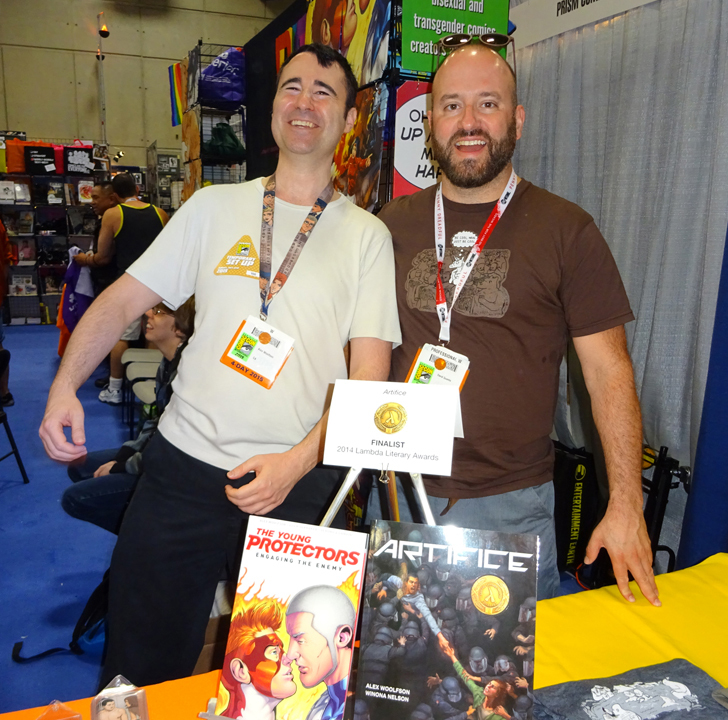 Featured Creators at the Prism Booth will include BiNet USA with their Bi Stories Project; Northwest Press with publisher Charles “Zan” Christensen, Dylan Edwards (Valley of the Sky, Qat Person) and Justin Hall (No Straight Lines, Hard to Swallow) with Northwest Press; Alex Woolfson (Artifice, The Young Protectors); Jason Lesser (Disintegral); John Lustig of Last Kiss Comics; Dusty Jack and JD Saxon of Scuttlebutt Ink (Mahou Shounen Fight! 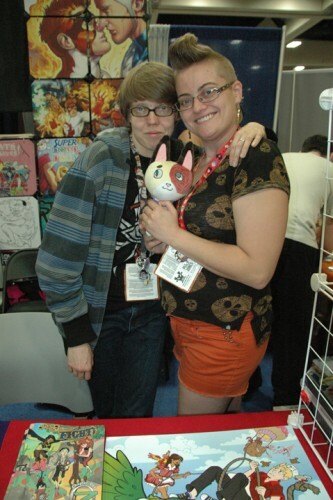 ); and Ann Uland and Emily Willis (Grave Impressions, Cassius). Other creators will include Tara Madison Avery (Stacked Deck Press, ALPHABET), Jaclyn Chessen (Shock Attack), The Ladybugs (Los Angeles Women’s Comics Creators League), P. Kristen Enos (Web of Lives), Joe Glass (The Pride), Jase Peeples (Square Zair Pair), Jeff Krell (Jayson Comics), David Reddish (The Passion of Sergius and Bacchus), Sonya Samantha Saturday (2016 Republican Presidential Candidates Coloring and Activity Book), Robert Paul (Little Rainbow Comics), Maia Kobabe and Ashley R. Guillory (Home), Josh Trujillo (Death Saves, Love Machines), Alan Rowe Kelly, Bart Mastronardi and Michael Varrati (Tales of Poe), Samantha Newark (The Voice of Jem and Jerrica of Jem and the Holograms), Clay Liford (writer/director of the SXSW indie hit film Slash), Michael Johnston (star of Slash and Teen Wolf) and more. Prism will also be continuing the debut of a major new anthology ALPHABET edited by Prism Board Members Jon Macy and Tara Madison Avery and published by Ms. Avery’s Stacked Deck Press. 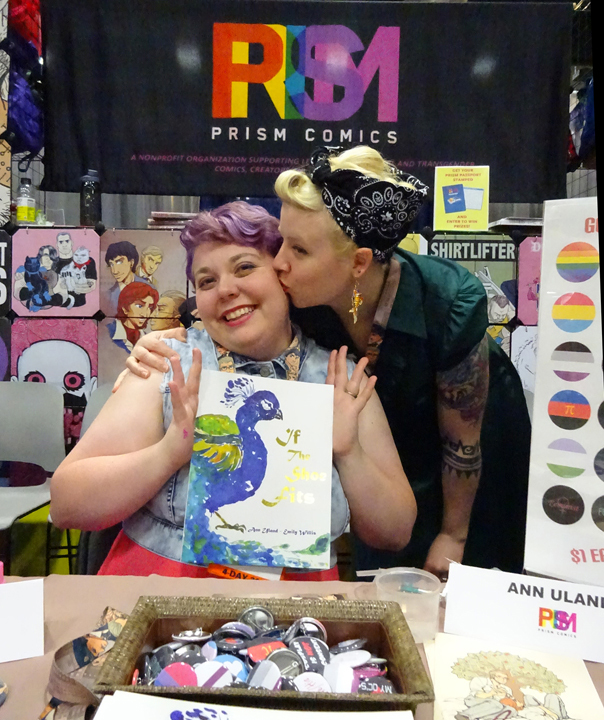 ALPHABET is an over 350 page, full color collection of all-new comics from past recipients of the Prism Comics Queer Press Grant, up-and-coming creators who submitted for the Grant and creators who support the Grant. 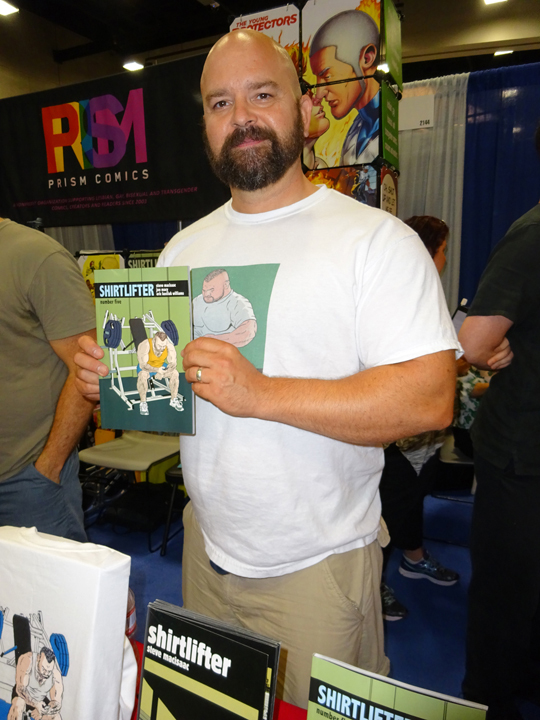 A portion of all the sales of ALPHABET goes to support the Prism Comics Queer Press Grant and at Comic-Con a portion of the book sales will go to Equality Florida. 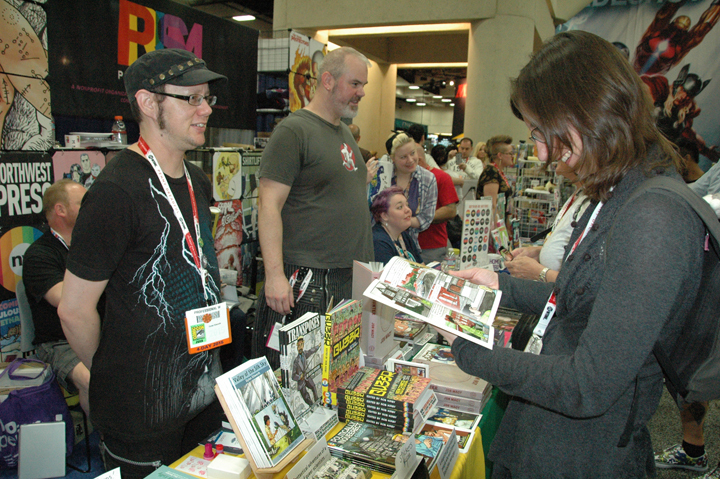 For additional information please visit prismcomics.org and visit the Prism Comics booth #2144 for an up-to-the-minute schedule of Creator Appearances. researching queer lifestyles throughout history? Join Prism Comics and Moderator Josh Trujillo (Love Machines), Joseph Hawkins (Director of the USC ONE Archive) and creators Kez Pagtakhan (Until the Last Dog Dies) Trina Robbins (The Complete Wimmen’s Comix) and Emily Willis (Cassius) as they discuss their work, inspirations, and challenges in presenting LGBTQ history through comics. The past year has once again been filled with key moments in comics, TV, movies, animation and games that every queer geek should know about. The panel will discuss the significance of these events to the greater LGBTQ community. Moderated by P. Kristen Enos (Prism Comics, Web Of Lives), this year’s panelists will include Diane Anderson-Minshall (The Advocate, Plus ), Nick Adams (Director of GLAAD’s Transgender Media Program), Mike Ciriaco (LA Weekly, Monday Mouth-Off), Amber Garza (Geeks OUT/Flame Con, Sequential Rights), Chelsea Steiner (AfterEllen.com, Autostraddle.com) and Amelia Vaughn (Huffington Post, Riptide Publishing). 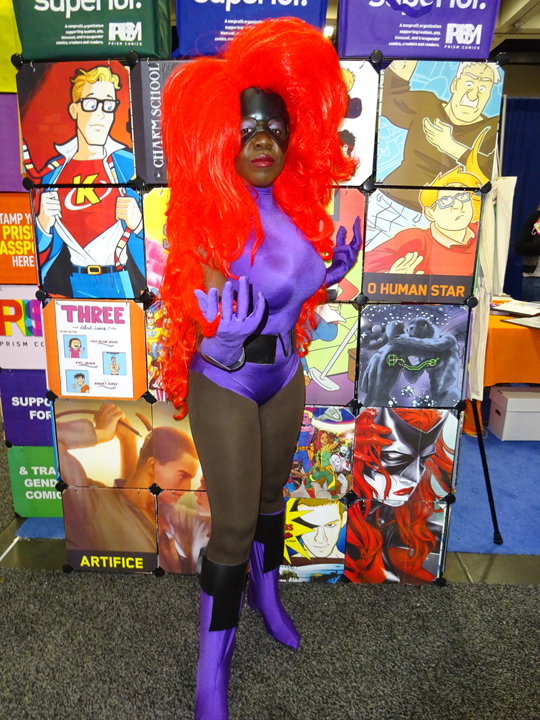 The eyes of the pop culture world are on the transgender community as more and more comics, television shows, and movies feature trans characters, trans creators, and their stories. How do trans characters affect narratives in popular genres? How can trans creators, artists, and actors best make their mark on popular arts? 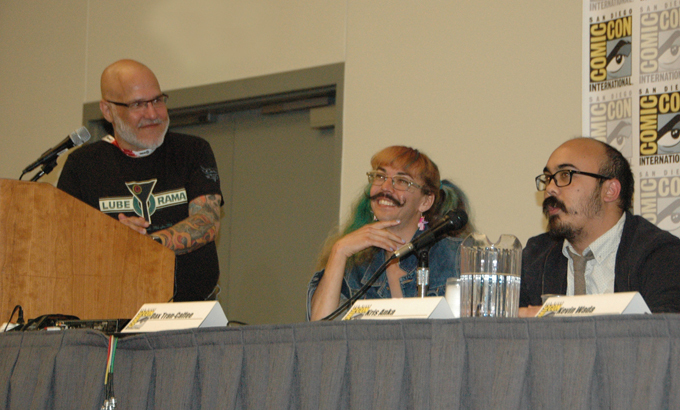 What are the next steps for trans representation from comic books to Hollywood? Join Prism Comics and moderator Tara Madison Avery (Gooch, Stacked Deck Press) for a lively discussion of these and other topics with panelists Julie Rei Goldstein (Time Traveling Bong), Mikki del Monico (Alto), Shadi Petosky (Danger & Eggs), Bishakh Som (The Other Side: A Queer Paranormal Romance Anthology), Kylie Wu (Trans Girl Next Door) and Billy White Acre (composer, musician). Horror films, TV shows, books and comics have always attempted to bring us to the threshold of our fears and force us to come face to face with the “otherness” that exists outside of the mainstream. For those in the LGBTQ community, this sense of otherness within the genre is not only terrifying, titillating, and transgressive, it’s quite often also relatable. The LGBTQ community has had a long history with the horror genre, from James Whales’ Frankenstein to the oft cited “gayest movie of all time,” A Nightmare on Elm Street 2. Has the current surge of LGBTQ acceptance and civil rights influenced the horror genre? Does a gay horror genre exist, and if so what makes it different from mainstream horror? Or has queer horror finally stepped out of the darkness and into the light? Join Prism Comics and moderator/screenwriter Michael Varrati (Tales of Poe, Flesh for the Inferno) along with a diverse group of horror genre professionals – Jaclyn Chessen (Shock Attack), Alan Rowe Kelly (Tales of Poe, The Blood Shed), Chris Landon (Disturbia, Paranormal Activity franchise), Aja Romano (Web Culture Reporter, Vox/Fandom expert) and Darren Stein (Jawbreaker, GBF) – as they discuss the history of this popular field from a queer perspective. LGBT creators and creators of LGBT-related comics discuss the works and events that inspire their work. 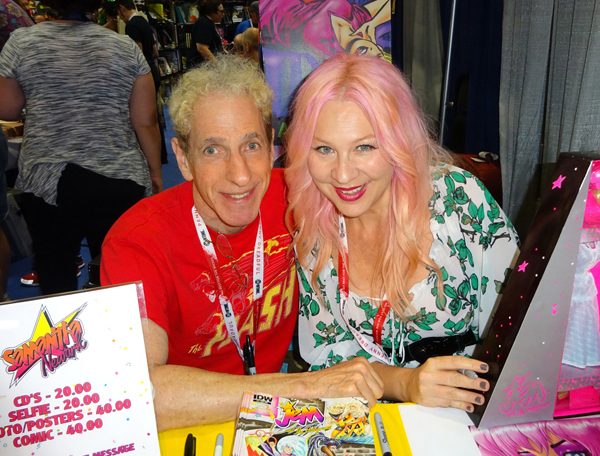 Join Prism Comics and co-moderators Roger Klorese (Prism Comics Board) and Shannon Watters (BOOM! 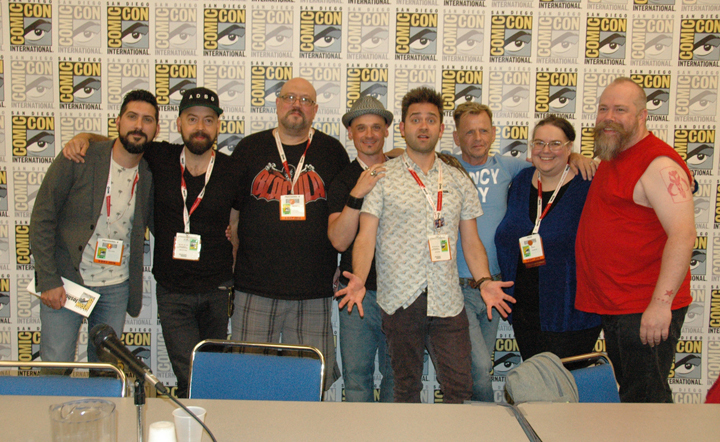 Studios, Lumberjanes) and guests Dylan Edwards (Valley of the Sky, Qat Person), Justin Hall (No Straight Lines), Ed Luce (Wuvable Oaf), Robert Rodi (Merry Men, Loki), Magdalene Visaggio (Kim & Kim) and Ari Yarwood (Oni Press) and a surprise guest! From movies to television to comics to YouTube, beloved characters have emerged whose lives and loves place them outside traditional notions of straight and gay. 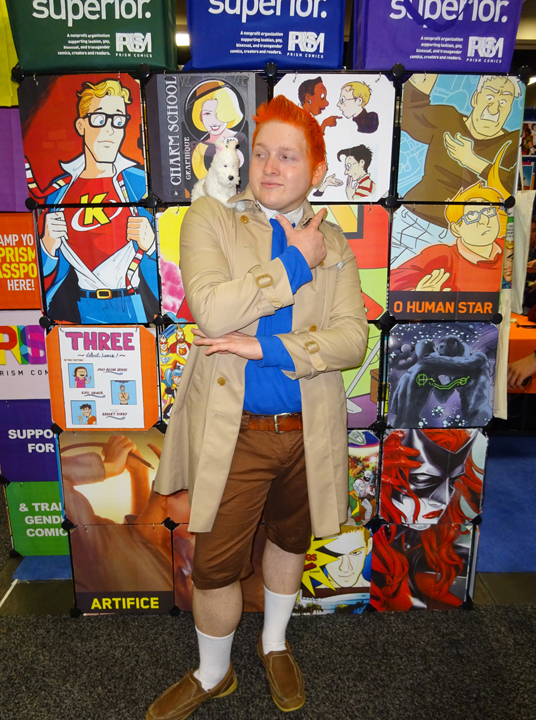 What does this burgeoning representation mean for the bi, pan, fluid, queer (bi+) community? Are the lives of bi people and the discrimination they face represented in popular science-fiction, fantasy, and superhero genres? What’s life like for bisexual creators in popular media? Join Prism Comics, the BiNet USA Bi Stories Project and moderator Faith Cheltenham (BiNet USA) for a lively discussion of these and other issues with panelists RJ Aguiar (YouTube’s “TheNotAdam”, NotAdamAndSteve.com), Tara Madison Avery (Gooch, Anything That Loves), Marissa Lee (Racebending.com), Steve Orlando (Midnighter, Batman & Robin Eternal), Bob Schreck (Legendary Comics) and Sarah Strumpf (Bisexual Books).